Cubs is the second sections of Scouting and this is where things really start to get interesting. Just like Beavers Cub have a fun time but due to their age they can start to be a bit more adventurous. Games, camping, arts and crafts, archery, water sports, day trips, five-a-side… this list goes on. Each cub pack runs its only program of activities but there are also District Events too where Cubs from all over Tamworth come together for events such as District camps, activity days and competitions. As well as meeting kids of your age from all around Tamworth, these events let you try new activities that you might not get chance to do. Anyone aged 8-10.5, boys and girls. There are Cub packs running all over Tamworth on different nights of the week. 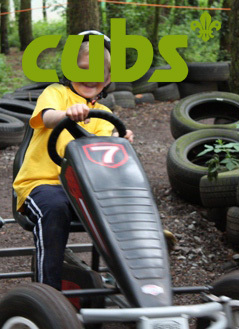 To find out more about cubs in Tamworth contact us.